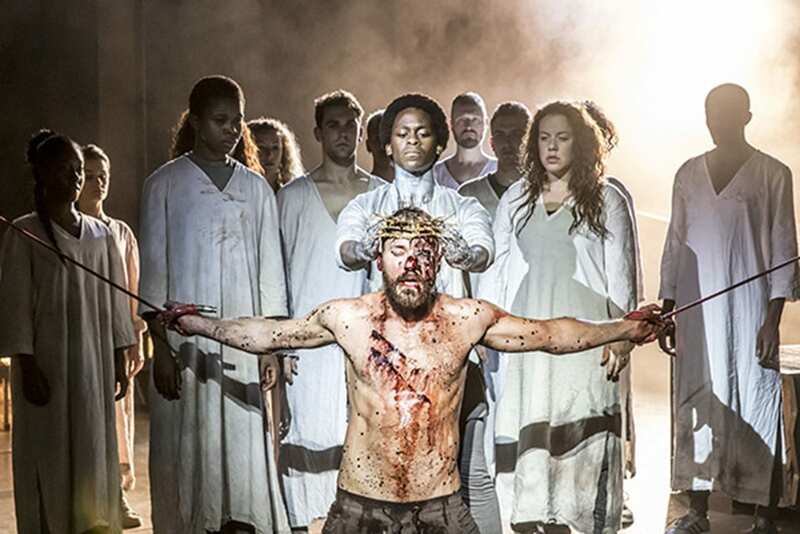 It’s forty-four years since Jesus Christ Superstar opened at The Palace Theatre, forty-five since its 1971 Broadway opening. Based on Andrew Lloyd Webber & Tim Rice’s 1970 ‘concept’ (double) album, which hit the top of the US Billboard Chart in early 1971, the show was groundbreaking both for its treatment of the religious subject matter – which saw protests outside the theatres on both sides of the Atlantic – and for its form. The fact that there was no dialogue on the album meant that the storytelling had to be done entirely through the songs, and thus the through-composed musical was born. 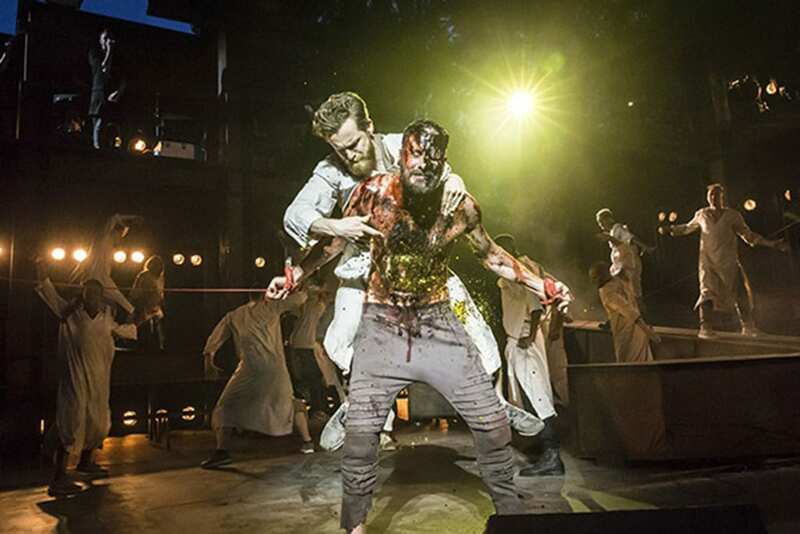 There have been several revivals in London in the interim, and arena tours, but this new production in the Regents Park Open Air Theatre is pretty much a modern re-imagining of the show which has, rightly, taken its place as a contemporary classic. So, is it any good? In a word, yes. Rice’s deceptively straightforward book ignores almost entirely the ‘son of God’ angle of the source material until almost the end of the show, and instead gives us real people in conflict. 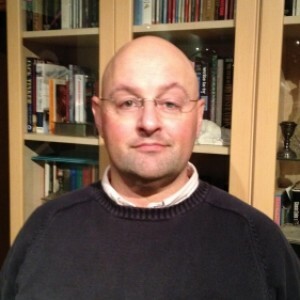 This is a Jesus (Declan Bennett) who’s angry with his lot; a campaigner for positive action who risks all by throwing over the money-lenders in the temple, and is only too willing to take the consequences. 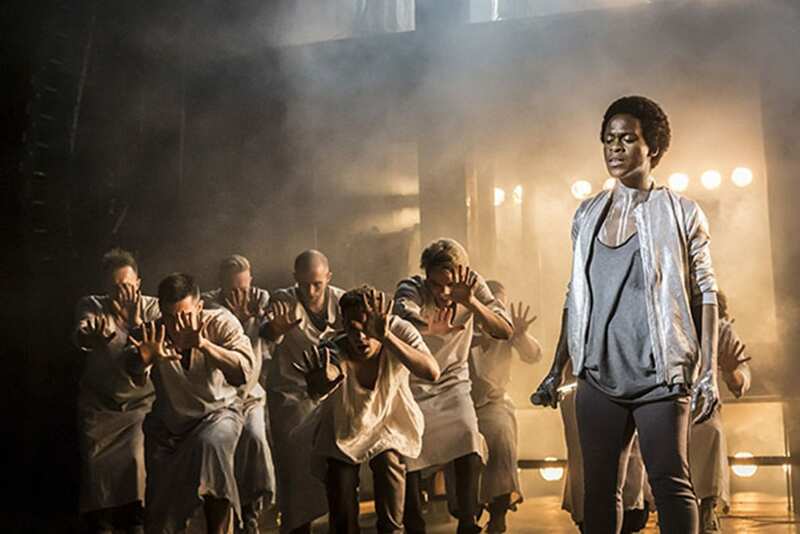 He knows, as we do, that he will be betrayed by Judas (Tyrone Huntley) but Judas doesn’t. The rush towards the inevitable is what drives the plot. 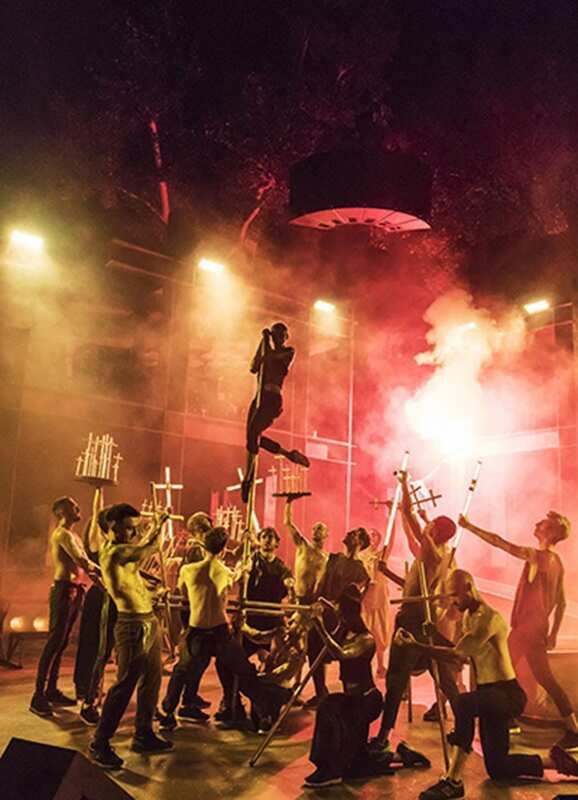 Designer Tom Scutt has fashioned a multi-level set which appears to be made of rusting iron girders, and is open front and back not only to facilitate the movement of the cast, but to house several large banks of lights. This is a production which Lee Curran, the lighting designer, is treating very much like a rock concert, which is logical. 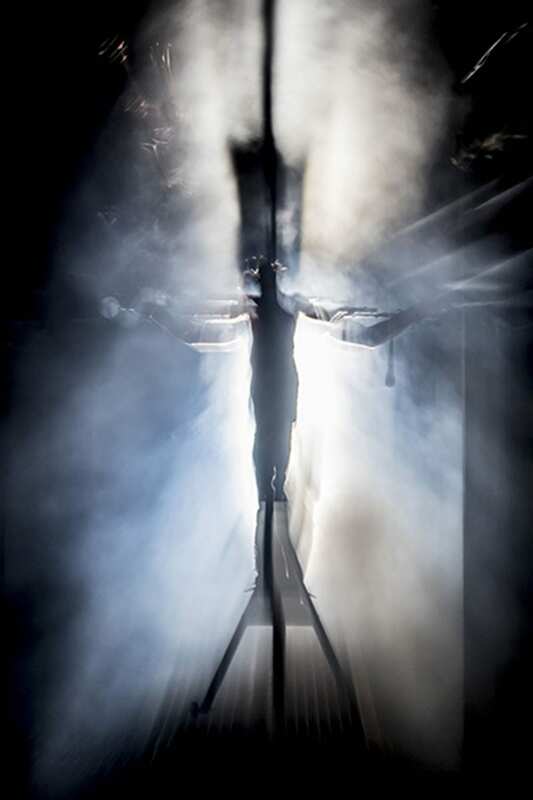 The band are on the top floor, which is also the site occasionally of action, but most of the time events takes place on the various levels down below, including on a very large broken cross lying on the ground and taking up maybe a third of the stage. Like any revival of a well known show there are the inevitable tick boxes, and I’m happy to say they’re all there and complete. Bennett as Jesus is excellent and undergoes a makeup transformation which is significantly more realistic than many I’ve seen. Huntley soars vocally, especially in ‘Damned for all time’, and the way that he takes his thirty pieces of silver is a masterstroke. Anoushka Lucas as Mary delivers a very creditable ‘I don’t Know How to Love him’. 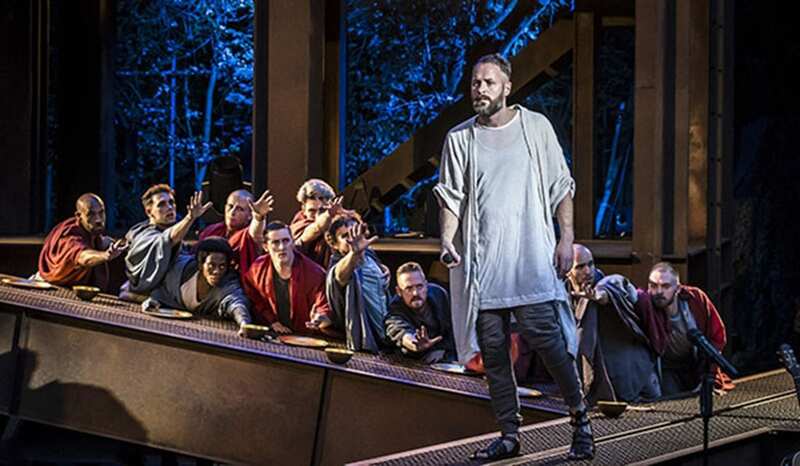 David Thaxton as Pilate is menacing without being a thug – and has some of the best tattoos you’ll see this side or Shoreditch – and Peter Caulfield plays Herod as psychotically mad, rather than just the usual ‘camp’ which gives Herod’s song and scene uncharacteristic menace….and he has by far the best frock in the show. Drew McOnie’s choreography is astonishing for its fluidity and modernity, transitioning from Martha Graham to Madonna video in the blink of an eye. In fact my only slight gripe is with the size of the band, which has no strings, though as there’s no credit in the programme for an arranger, I presume the parts must be off the shelf from the Really Useful Group. I missed them in the title song. All in all an astonishing production of a modern classic. Go.